Now these look a real bargain. Can’t afford the real deal? 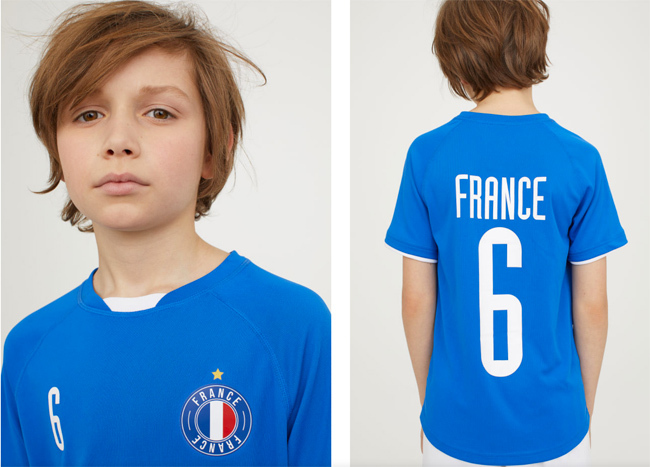 Check out these budget World Cup football shirts for kids at H&M. Basically these are stripped down versions of classic international shots. No, they don’t have the branding, but that’s no bad thing in my book. 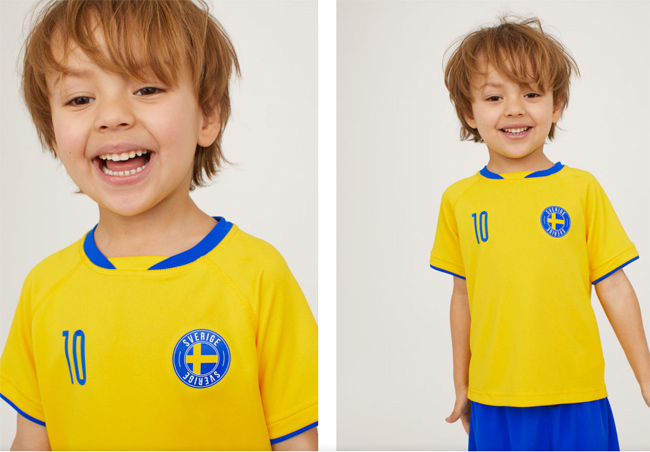 What they do offer is the colours, badges and design of an international football shirt for next to nothing. Think summer, think park, think beach, think World Cup on this year, think serious value and use out of any of these tops. I’m already considering at least three for our little boy. If you fancy taking in some of these, you can choose from two versions of Germany (one is a goalkeeper’s shirt), France, Portugal, Belgium, Spain, Sweden, Brazil, England, Italy, Holland and Argentina. All with the badge, number and name of country featured on the shirt. If you have older kids, perhaps peer and pester pressure might see you buy official versions for gastronomic prices. But if your kids aren’t too bothered or too young to care, these are the best value you will see all year. How much? Just £3.99 for each and sizes from ages 2 through to 14. Oh and you can get matching shorts for the same price too. 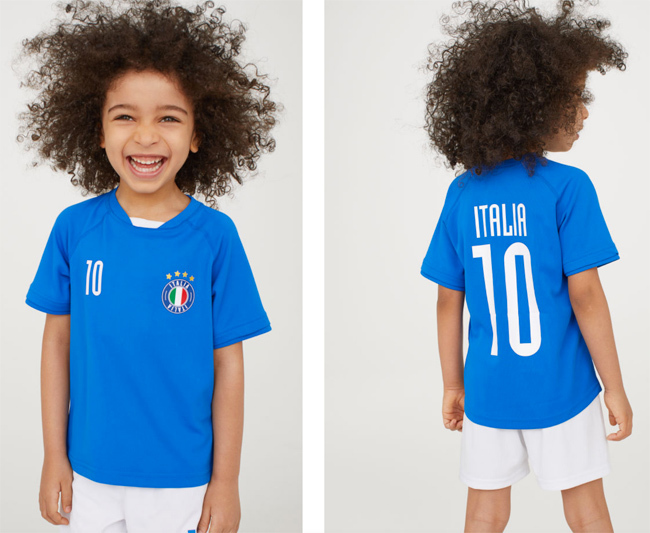 Thanks to Simone for spotting that Italy is featured in the range but not actually at the World Cup. But it’s still a very cool shirt.